This yummy homemade jalapeno mustard recipe will be your new best friend. If you’re looking for a great way to use up fresh jalapenos, you’ve come to the right place. If you’re a mustard fan, even better! This recipe can be a sweet jalapeno mustard or you can make it spicy. Make it however you want! That’s the beauty of it – YOU have the power. What you need to make this yummy homemade jalapeno mustard recipe. 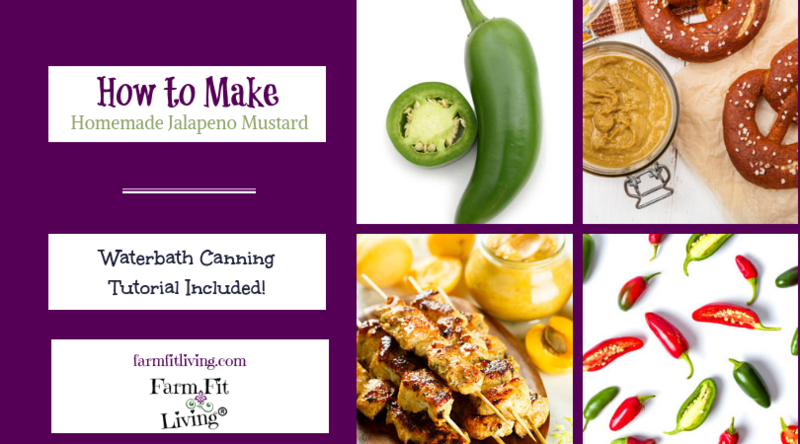 I’m including a jalapeno mustard canning recipe to enjoy, share or sell. Brief water bath canning tutorial plus links for full tutorials for water bath and pressure canning! Just a little hint before we move on: The best thing about this mustard is wonderful fact that you can make it as hot or not as you want. It all depends on how many pepper seeds you put in. So, let’s dive in to the ingredient list to make this delicious mustard that I know you’re going to love. 1 T. Ground Dry Mustard – I love this brand! When cutting jalapenos and touching the seeds, make sure you avoid touching your eyes or face. Believe me – Both my kids AND I have learned the hard way. We like to put on these gloves now or we just make sure we wash our hands right after when handling jalapenos. Halve peppers and remove most of the seeds. Set seeds to the side – You’ll need them in a little bit. Finely chop peppers to yield 4 cups of jalapenos. Then, combine peppers, water, vinegar and salt in a large saucepan. Simmer medium heat about 8 minutes. Ok, this is where you get to choose how spicy or not your mustard gets. Add 1-3 T reserved seeds (according to taste). So, simply throw in a few, stir, taste, and add more if you need. Combine sugar, flour, turmeric and dry mustard. Mix well and stir in yellow mustard. Add mustard mixture to pepper mixture. Simmer 5 minutes. Stir frequently until thickened. You can also continue to add in seeds as it cooks if you desire. Once the mustard is nice and thick and as spicy as you want, you can enjoy it fresh. Or, feel free to can it. If you desire a complete water bath canning tutorial, see below. This section is going to be super quick and to the point. First of all, this mustard is going to be completed so quick, you’ll want to prepare your canning jars prior to preparing the mustard. Ball or Kerr products are my go-to products for canning safely. You’ll need half-pints for this recipe. Make sure the jars, lids and bands are sterilized and then you can heat them up on the stove. Of course, you’ll also need your water bath canner and equipment. If you still need one, here’s a complete kit you can just order right now. Ok, so fill the water bath with water (about half way) and turn the heat on high. The water bath will need to be boiling before you start your processing timer, so it’s a good idea to start early. Now, you’re ready. Prepare your mustard as above. When it’s hot and ready, fill the jars. Leave a 1/4 inch head space from the top of the jar. After jars are full, place lids on the jars and tighten the bands to finger tip tight around the lids. Place on the water bath canning rack and then lower the jars carefully into the hot water. The water should be 1 inch over the top of the jars. Place the lid on the canner and then let it heat up to boiling. Process in the water bath canning boiling time for 15 minutes. That’s it. Carefully remove jars from the water using the grippers in your kit. Again, this was a completely brief tutorial. Here’s a complete guide for Water Bath Canning. And here’s a complete guide for Pressure Canning. Ok, let’s go back back back to the start of the pepper plant. Jalapenos are extremely easy to grow. Anyone can grow jalapenos! Even in a pot on your apartment patio. 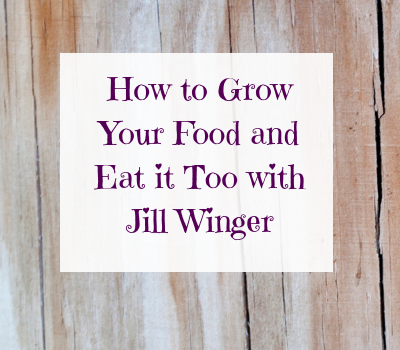 You don’t need a full garden or lots of space to grow your own vegetables. You need a container, good soil, sunlight and water go grow a jalapeno plant that will produce enough jalapenos to make this delicious mustard. Then, plant transplants in a larger pot or space to care for them. They’ll need some fertilizer to get started. I like using Miracle Grow a few times to get young plants taking off growing. After a month or so, you’ll start to see white blooms. Then, you’ll start to see little baby jals growing! Leave them on and let them grow as big as you want. The plant will hopefully produce a lot of peppers for you to use in various different way. If you do get a surplus, or more than you can use with this mustard recipe, you can make other things with jalapenos. See below for more recipes for jalapenos. You can also share them with others or even sell them! I sell them cheap for $1 a pound at my farmers market stand. If you don’t feel comfortable selling, it’s ok! Simply share them with others who love them, too. Make the mustard or other recipes to share with others, too. One quick note: If other people are wondering how to eat the mustard you make them, let me give you some tips for that. The possibilities are endless here. This mustard can be enjoyed on any meat or as a dip for breads. I personally love them smeared onto brats, chicken or pork shops. So delicious on freshly grilled meats! Or you could add a smidge into a recipe for a little kick that you’d normally use mustard in. Like deviled eggs. Wouldn’t this taste amazing in deviled eggs? I’d love to know how you use this mustard to spice up your life. You can comment below and let us know or send me a direct message via Instagram or Facebook! I’m also inspired to try a jalapeno honey mustard recipe after I harvest this year’s honey crop from my bee hives. That just sounds amazing. May help fight cancer, pain and heart problems. Bottom line: Jalapenos are good veggie to grow and eat as part of a healthy and fulfilled life style. What’s not to love? I have shared tips and tricks for growing and using fresh jalapenos for this yummy homemade jalapeno mustard recipe. 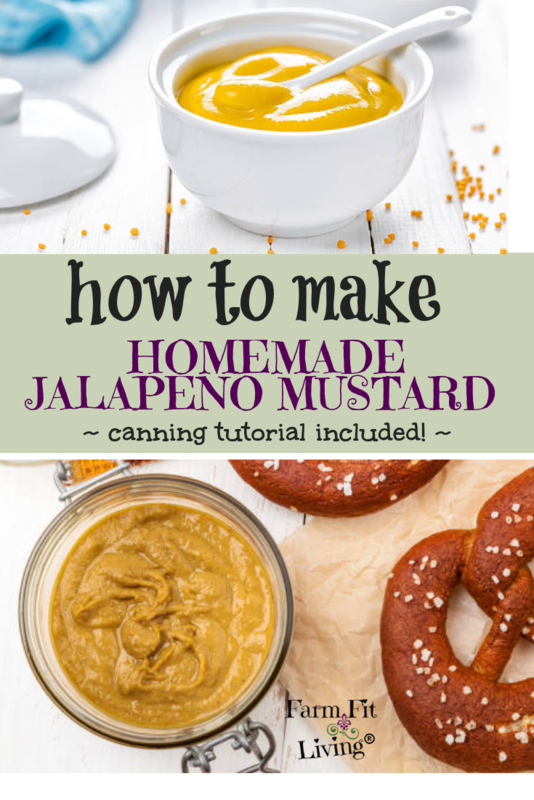 I’ve also given you ways you can sell or share your jars of mustard as well as some other ways to use up jalapenos. Please feel free to comment below. Let me know if you’ve tried the recipe and love it or hate it. And maybe how you love using jalapenos, too.